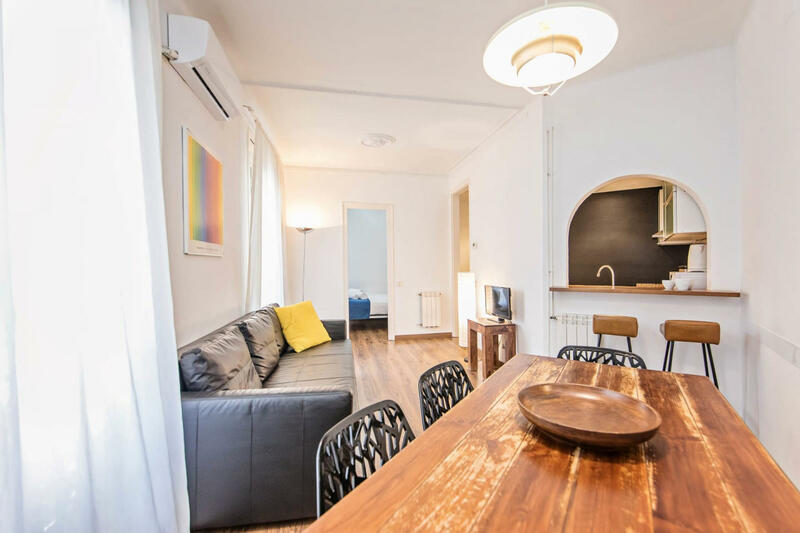 Located in the vibrant Eixemple district, the Comte Urgell 1 bedroom apartment is the perfect place to experience Barcelona’s local culture. A close walk to the Plaza Catalunya, Eixample is an area filled with local artisans, funky restaurants, quaint cafes and pubs. The metro takes you all over the city, including to La Sagrada Familia (15 minutes), where you'll find many of Barcelona’s most famous museums, cathedrals and art galleries. It’s a lovely walk to The Maritime Museum (30 min), Guell Palace (30 min). The Urgell metro stop is 7 minutes' walk away, and bus stops are just around the corner. Inspired by the Spanish sun, our local interior designers have carefully chosen a blend of antique furniture to accent the clean, chic lines in this charming space. 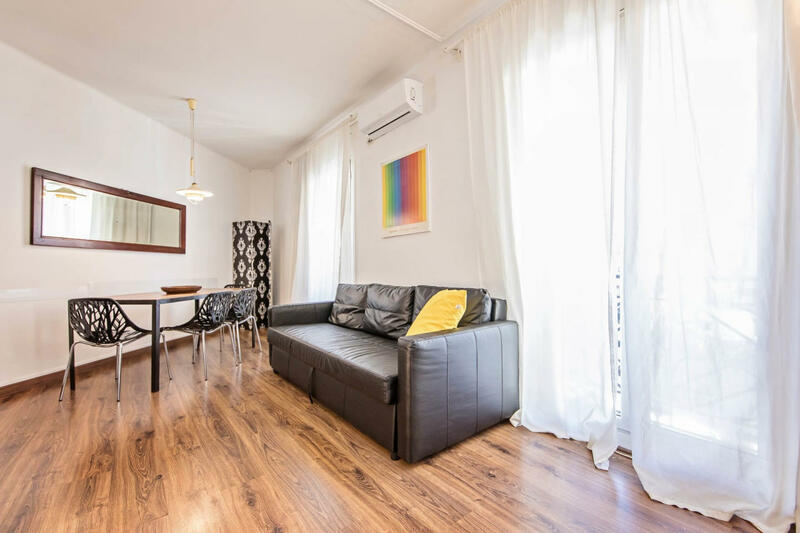 Large windows and high ceilings give the apartment an extra roomy vibe and visitors will love cooking a spicy Spanish meal in the chic modern kitchen or relaxing in the spacious living room with a glass of local wine. Premium amenities include free WiFi, cable TV, high-end toiletries, hotel beds and linens. 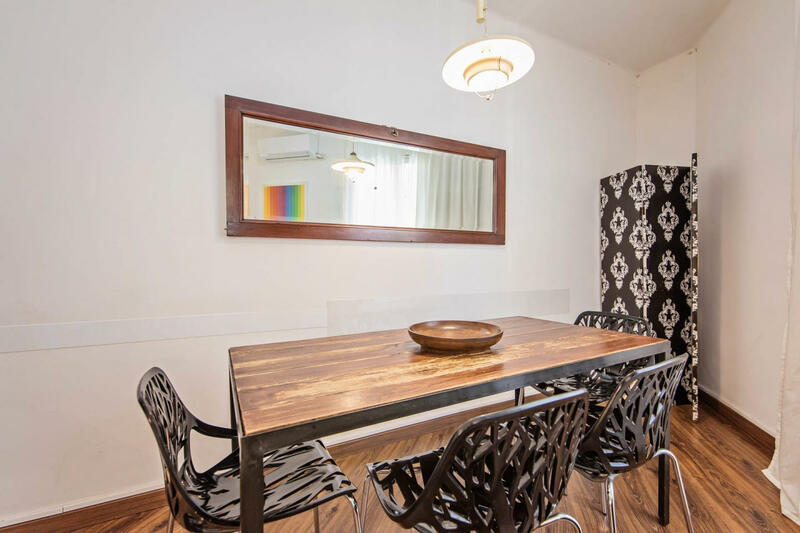 A romantic vacation apartment ideal for couples or a group of friends, this lovely vacation apartment will make you feel right at home.